Taken at midnight, a couple miles off shore. 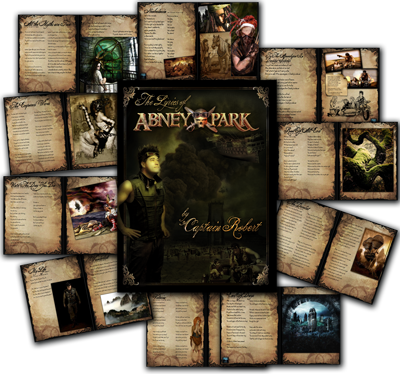 FUTURE OF ABNEY PARK ALBUMS? Let me know if this is worth it to you. What if instead of a plastic jewel case, physical CD's came in a 20 page full color magazine filled with lyrics, cord charts, and illustrations of each song? The CD would be in a little sleeve in the back of the magazine. Then buying the CD would become an "experience" as you sat on your sofa, listened, and read along, or played along on an instrument, etc. It'd be laid out like our current lyrics book (see below). Eventually, you could collect the whole library of magazines like comic books. would this be worth, say $20? This costs me a bit more then pressing a CD, but to me this is way cooler. I'd love to make buying a real thing cooler then just downloading the music. Abney Park will be at GEAR Con this coming weekend!